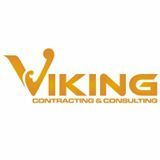 At Viking Contracting and Consulting our dedicated team works with you to explore and determine the best option to create a custom space in your home or business. Motivated by family history and an area need for superior service, our design and build team is comprised of honest and reliable individuals that share our commitment to creative design, quality and craftmanship. From Complete home renovations to ''tiny houses'' no job is too big or too small. We know home investments can be an extensive process and at Viking we work from start to finish to insure that all your needs are met and that you have a representative that you can trust. We specialize in custom wooden creations tailored to the unique and personal taste of each client and any space. innovative research & design to consult on a variety of different styles. We walk you through the process step by step. With a wide range of high quality cabinetry, appliances and fixtures we can accommodate any budget or idea. Efficient task management geared towards superior quality with minimal inconvenience. Professional and friendly service that extends past project completion. At Viking our customers are our greatest asset.